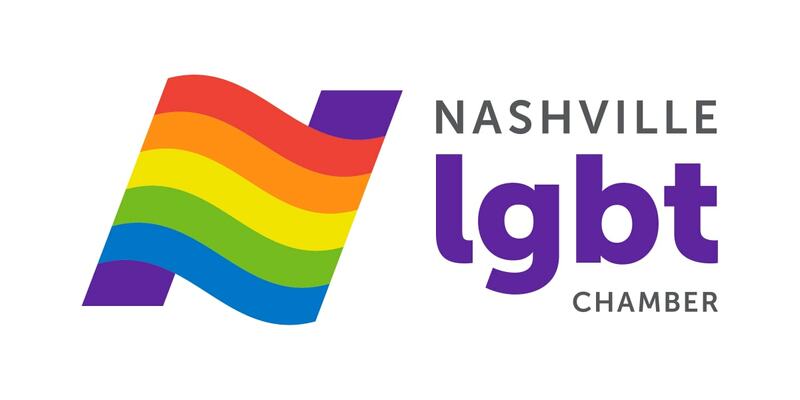 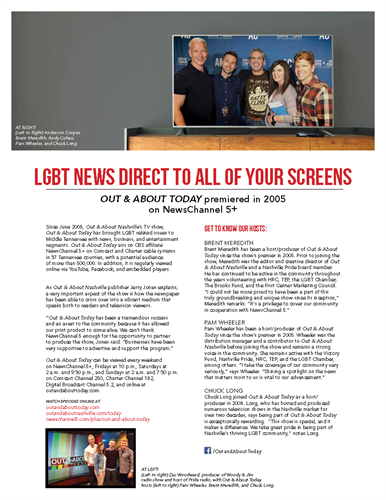 Out and About Nashville is your source for LGBT Nashville news, information and entertainment. 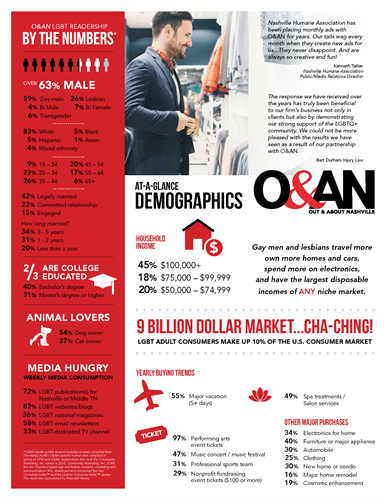 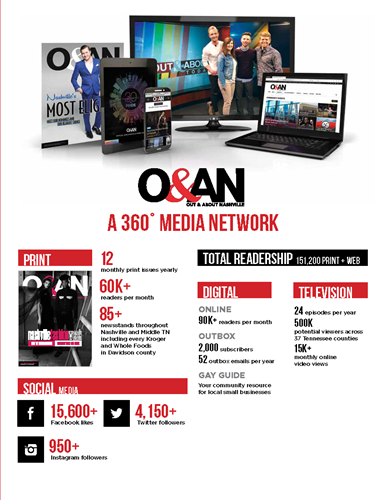 Established in 2002, O&AN has more than 158, 000 online and print readers. 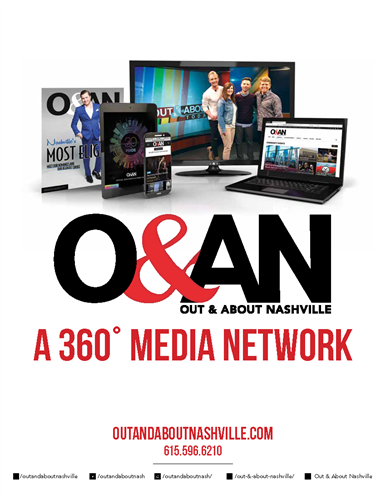 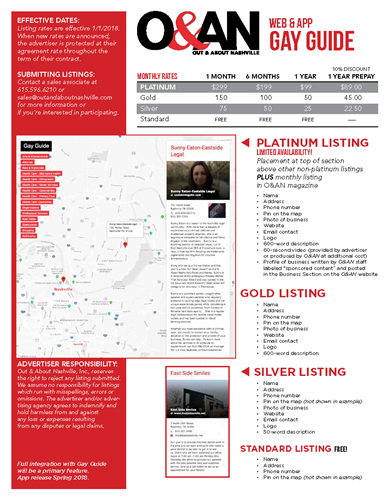 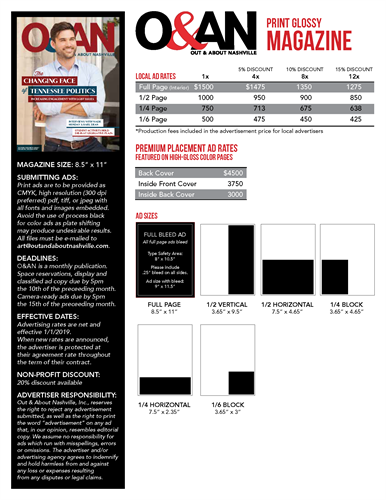 The magazine is distributed throughout most Nashville area Kroger stores and Whole Foods. 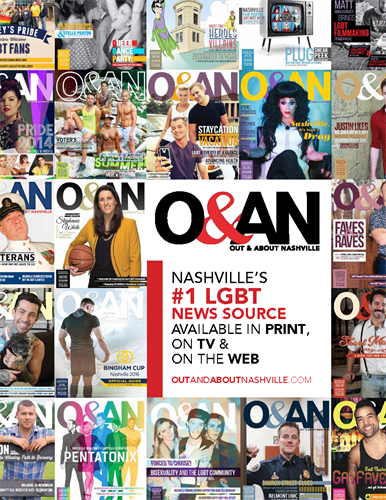 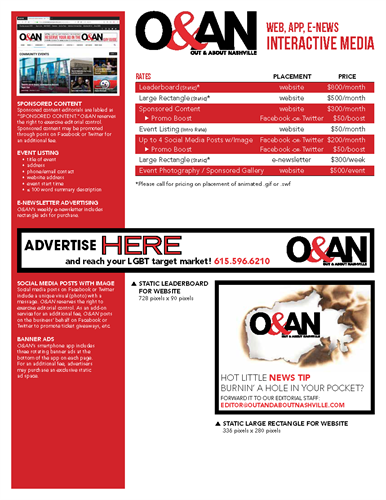 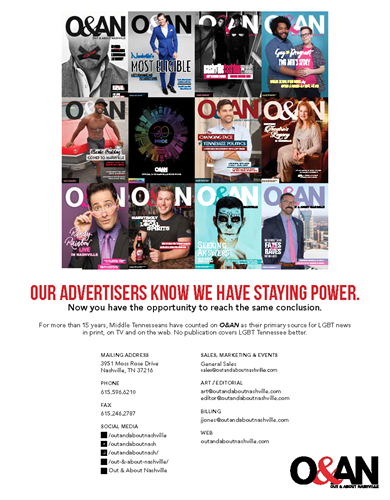 O&AN is a LGBT certified owned business by the National Gay and Lesbian Chamber of Commerce.